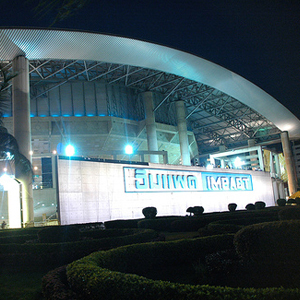 Impact at Muang Thong Thani hosts the following facilities: IMPACT Arena, Aktiv Square, IMPACT Convention Center, IMPACT Exhbibition Center, IMPACT Challenger, and IMPACT Hotel. From BTS Mo Chit Station, you can take a shuttle bus to Impact. The legendary guitarist comes to Bangkok for one night only.